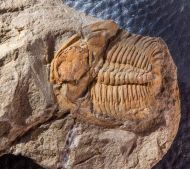 Here is a superb show case fossil with two Trilobite of the species Hydrocephalus minor from the classical site of Jince. 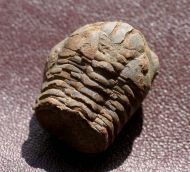 The larger specimen is 112 mm long. 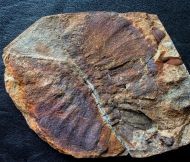 Here is a very fine multiple trilobite plate from the Barrandian area. 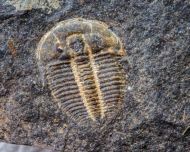 Here is a "Czech Trilobite" of the species Dysplanus wahlenbergianus from the upper ordovician of Levin. 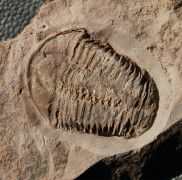 Here is a relative large trilobite pygidium of the species Dalmanitina socialis from the Czech Ordovician. 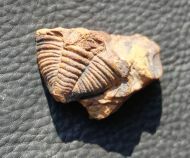 Here is a "Czech Trilobite" of the species Conocoryphe cirina form the site of Rejkovice. 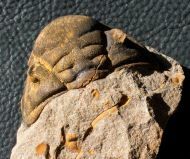 This is a nice Czech Trilobite of the species Eccaparadoxides pussillus from the middle Cambrian of Rejkovice. 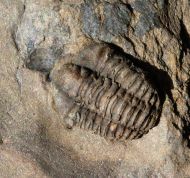 Here is a good and relative large example of the classical czech trilobite species Sao hirsuta from the Buchava Formation at Skryje . 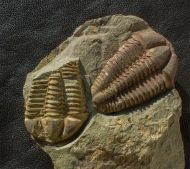 This is a attractive example piece with three Czech Trilobites of the species Ctenocephalus coronatus from the middle Cambrian of Skryje. This is a detailed Aulacopleura koninck from the classical site of Lodenice. 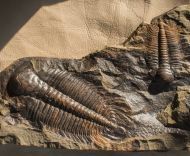 This is a trilobite cluster that shows servile large speciment of Paradoxides gracilis stacked over each other. 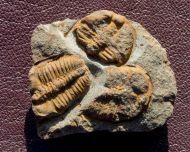 Here is a nice Czech Trilobite double of the species Miraspis mira from the Lodenice site. 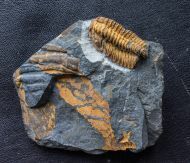 This is a decorative piece with one and a half Czech Trilobite of the Trilobites of the species Conocoryphe cirina. Here is a inexpensive example of a Ormathops atavus from Rokycany. 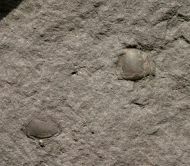 On a typical Rokycany nodule. 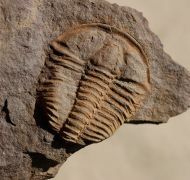 Here is a small "Czech Trilobite Tail" of the spices Dalmanitina socialis. 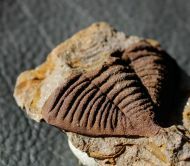 Here is a large and inexpensive specimen of a "Czech Trilobite" of the species Conocoryphe cirina. 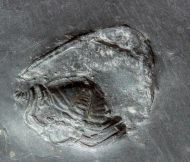 This is a classical Czech Trilobit of the species Eccaparadoxides pussillus that comes from the site of Rejkovice. 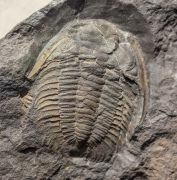 This is a rare example of the Trilobite species Germaropyge germari from the classical site of Skryje. 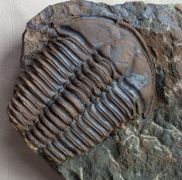 Here os a very large trilobite Cephalon of the species Dalmanitina socialis in a 3dimensional preservation.